Continuing our Guitar 101 voyage of discovery around the guitar, we’re staying with the neck and contemplating the truss-rod. What the hell is a truss rod anyway? At it’s simplest, a truss rod is a device to counteract the tension of the strings. We’ll get on to looking at the different types of truss rod in a minute or two but first, lets look a little deeper into that explanation. The strings on your guitar or bass, when tuned up to pitch, exert a lot of pressure. It’s a tall order for your guitar neck to withstand that pressure without bending under the pull of the stings as in the (rather hastily drawn) diagram below. What you see here is a (pretty exaggerated) side view of a guitar neck under string pressure. Its natural inclination is to bend or bow. We call this ‘up-bow’ as it’s in the direction of string pull. Obviously, it’s not great to have a guitar neck that’s pulled into too much of an up-bow – it makes it more difficult to play as the middle of the bow has higher action and it’s not really good for the neck. 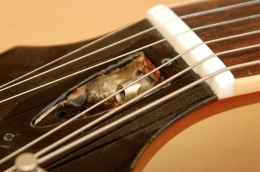 The truss-rod’s basic job is to prevent the neck from bowing (i.e. essentially, to keep it straight). Early truss rods were simply strengthening materials inserted in the wooden neck when it was being made. This ranged from just a stronger, denser wood to add strength (like a square, ebony rod) to a length of ‘T’ shaped bar or a square bar/tube. These were better than nothing but they weren’t adjustable. Then came the adjustable truss rod. This is a steel rod that’s inserted into a curved channel in the neck when it’s being made. One end is anchored and the other end is threaded to accept a nut. Once the neck is completed, it basically contains a curved steel rod (the curve is in the opposite direction to an up-bow by the way). Now, this is actually quite clever – when a steel rod lives in a curved channel and has a nut tightened on its end, it tries to straighten out. It’s this straightening of the truss rod that enables us to adjust a neck to exactly counteract the string tension. One thing that we should mention before we go are dual-action truss rods. These are becoming more common these days. These allow adjustment in both directions so that it’s possible to correct the usual up-bow and the (luckily less common) back-bow. Back-bow doesn’t happen that often and is usually caused by a truss rod that’s been tightened too much (although there are other possibilities). 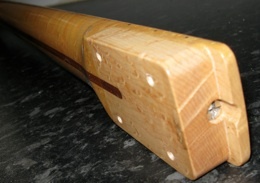 Dual-action rods tend to be easier to install when the neck is being constructed as they can usually fit into a flat, rather than curved slot. The more cynical among you might feel that this is the reason they are becoming more common rather than their ability to counteract back-bow. While that may well be the case (I know I use them for that reason), it is a nice bonus to be able to control back-bow too. Most truss rods can be adjusted at the headstock-end of the neck. There’s usually a small hole or recess to allow access. Fender guitars are frequently adjusted at the body end (which is a pain as you generally need to loosen the neck screws to access it). Many acoustic truss rods have their adjustment at the body-end of the neck, accessed through the soundhole. If you interest is piqued, we’ll bring you some information on how to adjust your truss-rods soon. 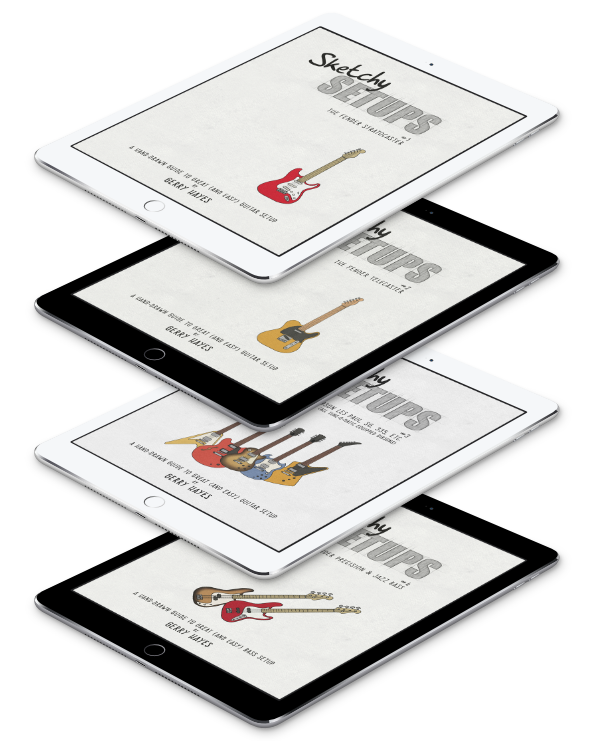 Make sure you don’t miss it by subscribing to the Guitarless feed via RSS or email.